Welcome one and all to the ATOS website. For those that are new to the theatre organ world, welcome. I hope that you will take some time to browse around the various pages of our website to discover more about these amazing instruments. Many of these instruments are approaching a century old! Not only is the music grand, but the theatres that many of them are housed in are absolutely gorgeous. While here, learn about the Mighty Wurlitzer, Barton, Kimball, Robert-Morton, Page, and other companies that created thousands of instruments. 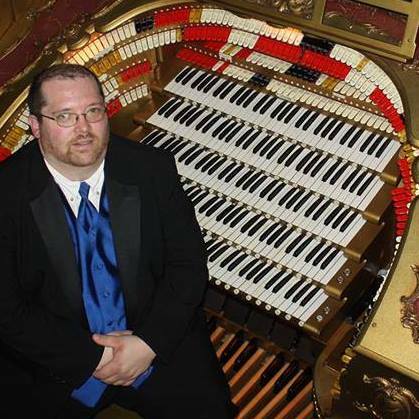 The theatre organ is a very versatile instrument, not just for accompanying silent movies. There are also theatre organs in restaurants, skating rinks, dance halls, and arenas. ATOS has several chapters throughout the U.S., as well as around the world. We work on promoting the instrument, encouraging chapters and theatre to present concerts and silent films, develop young artists and technicians, teach restoration techniques, and most of all, have fun with the instrument and the music. Enjoy your time here. Find an instrument in your area. Enjoy listening to the wonderful music playing on ATOS RADIO. Visit one of the many events available around the world. Many of these can be found on our Events List. I hope you enjoy the music, and if you are not a member, I hope you will join us as we celebrate this wonderful instrument. We have lots of great information here regarding this instrument. Enjoy the sites and sounds of the mighty theatre organ!